Standard letterboxs for Upvc and timber doors, these are available in various high quality colour finishes. 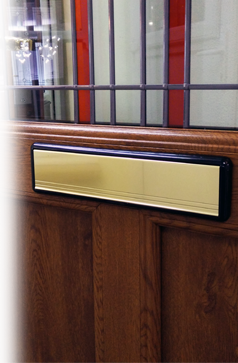 A choice of sizes exist for thise letterboxes, choose from 10" 254mm and the larger 12" 306mm approx dimensions. 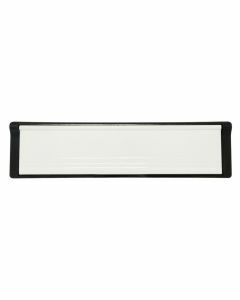 Finished with an attractive black abs material surround, these letterboxes are found on many doors fitted over the last 20 years.